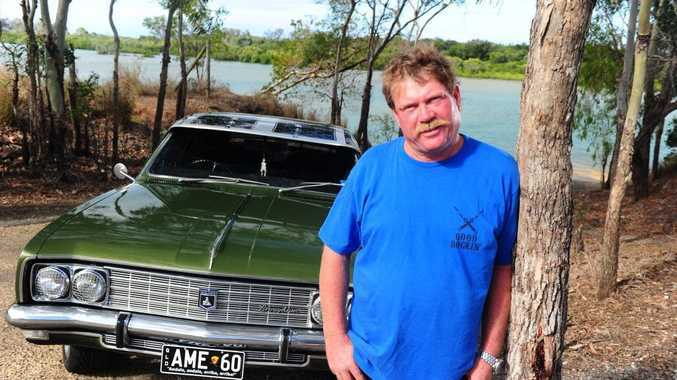 MARTY Hayden from Boyne Island was featured in The Observer's Me and My Ride section on January 12 with his 1970 HT Holden Brougham. Make, model and year of car: 1970 HT Holden Brougham. How long have you had it? Two years. Where have you been in it? Brisbane, Gold Coast, Rockhampton. What upgrades have you done? Painted the roof, added mags, brakes, sound system, handling upgrades, new rubbers, reverse camera and rust proofing. Would you ever trade it in? No. Is this your dream car and why? It's close, but (I'm happy) as long as it's long, low and loud. How do you look after it? I treat it like a baby. If you would like to be featured in Me and My Ride email beth.young@gladstoneobserver.com.au with contact details.